Adventure, shipwreck, storms and survival on the high seas. ENDURANCE is the story of one of the most astonishing feats of exploration and human courage ever recorded. In 1914 Sir Ernest Shackleton and a crew of 27 men set sail for the South Atlantic on board a ship called the Endurance. The object of the expedition was to cross the Antarctic overland. In October 1915, still half a continent away from their intended base, the ship was trapped, then crushed in ice. For five months Shackleton and his men, drifting on ice packs, were castaways on one of the most savage regions of the world. 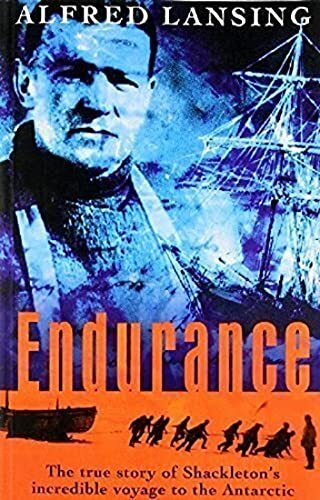 This utterly gripping book, based on first-hand accounts of crew members and interviews with survivors, describes how the men survived, how they lived together in camps on the ice for 17 months until they reached land, how they were attacked by sea leopards, the diseases which they developed, and the indefatigability of the men and their lasting civility towards one another in the most adverse conditions conceivable.